4413 Interchange North, Lake Geneva, WI Lots and Land Property Listing | My-Dwelling, Inc.
2+ acres of commercial potential on the north side of Lake Geneva with quick access to Hwy 12 and I-43. 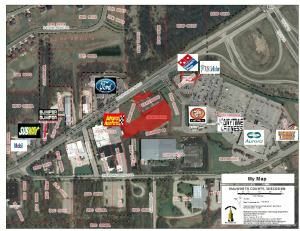 Undeveloped land in high traffic area is located near many established businesses. Location and size makes this lot ideal for many business opportunities. Utilities on site. Head south on Interchange North, left on Minahan, property on the right. $3,874 would be your approximate monthly principal and interest payment.